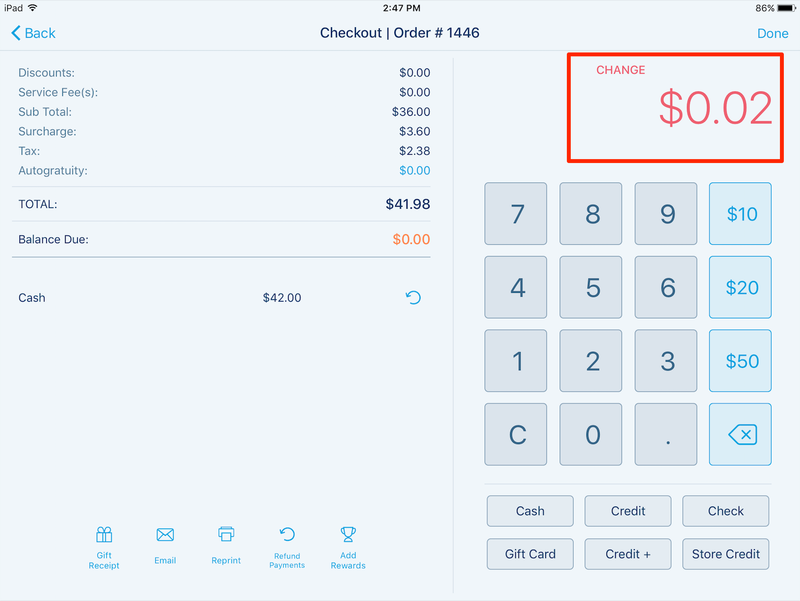 When the Round Up Cash setting has been enabled, a Round Up Cash button will appear among the Quick Action icons under an open order on the Point of Sale. Tapping the Round Up Cash icon will cause the system to assume the next even dollar figure has been tendered in cash. It will take you immediately to the Payment screen and display the change due. 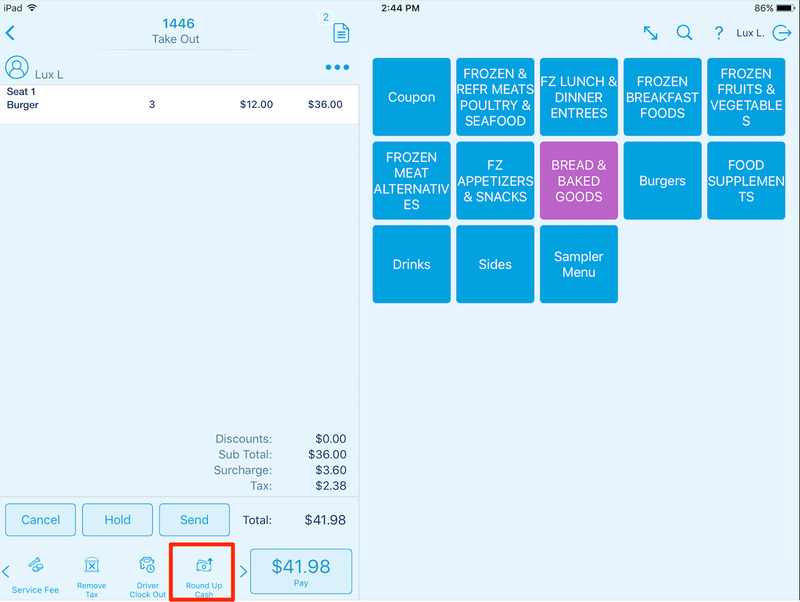 For instance, if the order total is $13.99, tapping the Round Up Cash button will take you to the Payment screen and $.01 will show as the change due. Click Clear Selections and type Round Up in the search bar. Check the box next to Round Up Cash so the setting appears on the right side of the screen. Log into the Point of Sale and create a new order like normal. Add all needed products to the order. Tap it to tell the system the next even dollar amount up from the order total has been received in cash. Tap Done to close the order.